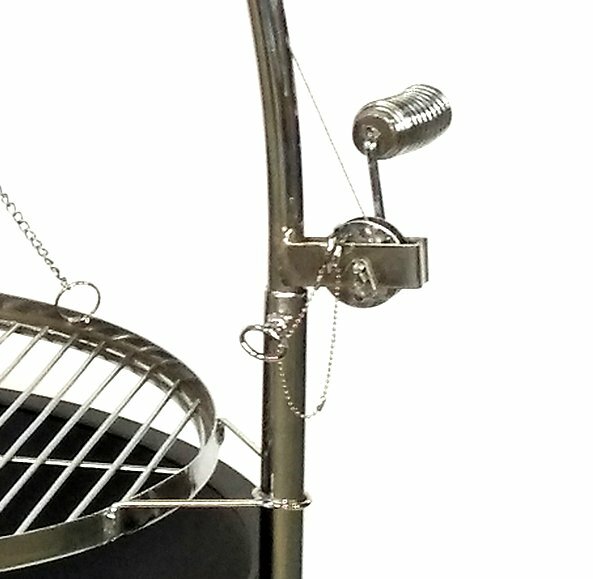 Tripod barbecue in a modern style with 65cm bowl and suspended Chrome Plated steel grill. The grill can be raised and lowered using the hand crank. Tripod design with wide feet to provide stability and strength. 65 cm diameter bowl suitable for burning charcoal and logs. Grill boom arm can be removed to turn barbecue into a fire pit and for easy storage. Delivered flat packed requiring easy assembly, tools and instructions included. Modern style black and suspended chrome grill barbecue, the perfect addition to any outdoor space. Sturdy tripod design provides stability and strength. 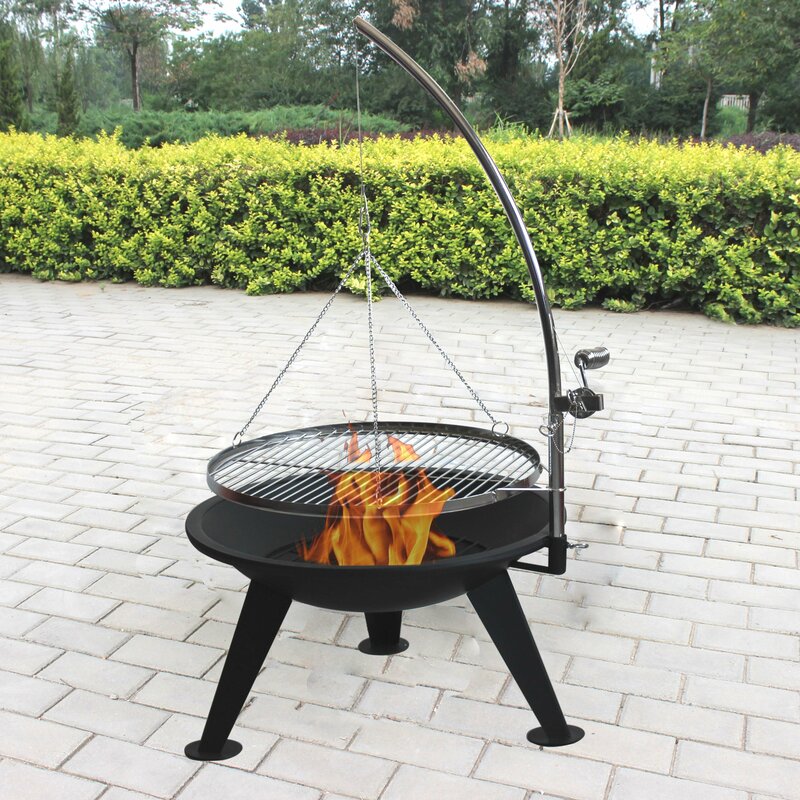 65 cm diameter bowl suitable for burning charcoal, includes charcoal grate. 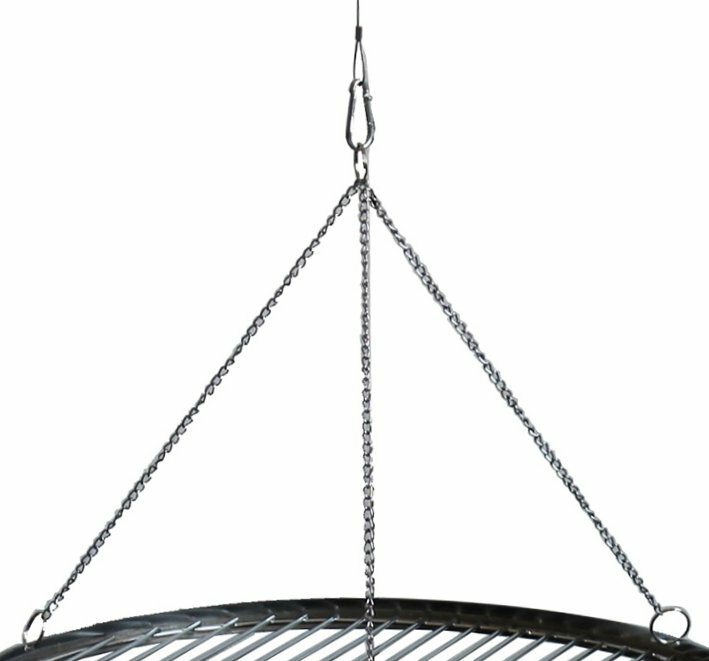 Chrome-plated grill suspended by a boom arm, 55 cm diameter. Can be raised and lowered using the hand crank. Can be raised up to 18 cm above the bowl. 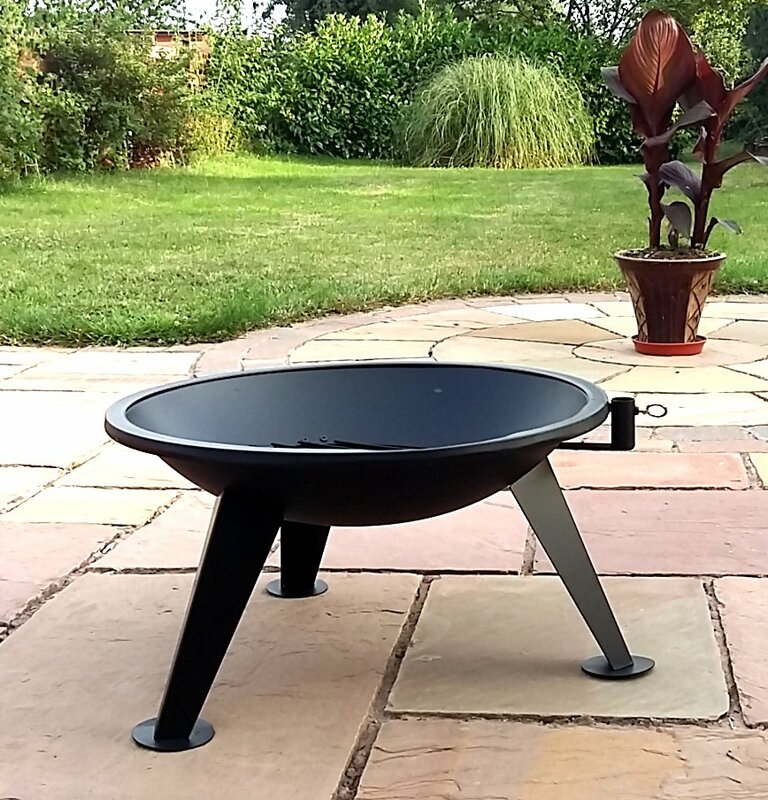 The grill and boom arm are removable for easy storage and to convert the barbecue into a fire pit.